Invisalign® is a teeth straightening system that has become popular alternative to traditional orthodontics. Rather than using wires and brackets to straighten your teeth, Invisalign uses clear, plastic dental aligners that are discreet and comfortable. If you are considering Invisalign, you may wonder how long it will take to complete treatment and how often you will need to attend Invisalign appointments. At Desert Dental Alternatives in Palm Desert, CA, Dr. Bruno Lemay answers these questions to help you understand what to expect of Invisalign therapy and if it is right teeth straightening system for you. Invisalign gradually moves your teeth into proper alignment through the use of a series of plastic dental aligners, with a new one worn about every two weeks. Each dental tray is fabricated specifically for the patient based on impressions of their teeth and mouth. Most Invisalign patients complete their treatment in a year to 18 months. Treatment times depend largely on the severity of the tooth or bite misalignment. What Are the Minimum Number of Appointments? The minimum number of appointments needed to complete Invisalign treatment is three. First Appointment: The initial appointment is your consultation with the dentist. This is usually the longest appointment and lasts about an hour. An exam is performed at this time. Digital impressions are taken of your teeth for the computer modeling software that customizes your aligners. Second Appointment: At the second appointment you receive your aligners. You may receive all or some of your aligners at this time. Third Appointment: During your final appointment, your dentist will perform an exam to ensure that treatment goals are reached. Your dentist will review the steps to take to keep your teeth straight. It is important to note that three appointments are the minimum, but most patients will need more. Patients with minor tooth misalignment are more likely to need fewer appointments compared to complex or severe teeth alignment issues. Minor tooth alignment cases may require a half of a year of treatments with a handful of appointments. On the other hand, complex and severe cases of teeth or bite misalignment will require longer treatment times with more appointments. 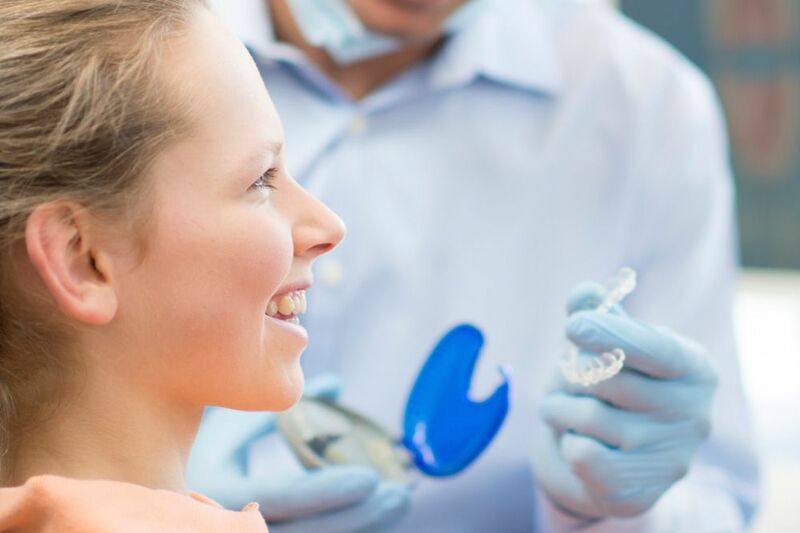 Regardless of how severe your alignment issues, Invisalign patients typically need fewer appointments than patients that undergo treatment with braces. How Can I Minimize Appointment Frequency? While patients do not have control over the severity of their teeth misalignment, there is another factor that affects appointment frequency they do have control over: wearing their aligners as prescribed. A successful Invisalign treatment is dependent on the patient wearing their aligners for at least 22 hours a day. The dental aligners should only be removed for eating and daily oral hygiene needs. Not wearing the dental aligner for the required amount of time means that treatment times take longer. Additionally, there will be more appointments to assess the movement of your teeth. To learn more about the many benefits of the Invisalign system and how many appointments your treatment may take, book your consultation today. You can leave us a message online, or call us at (760) 324-4450.